On Monday, we pause to remember those who lost their lives protecting our freedom. 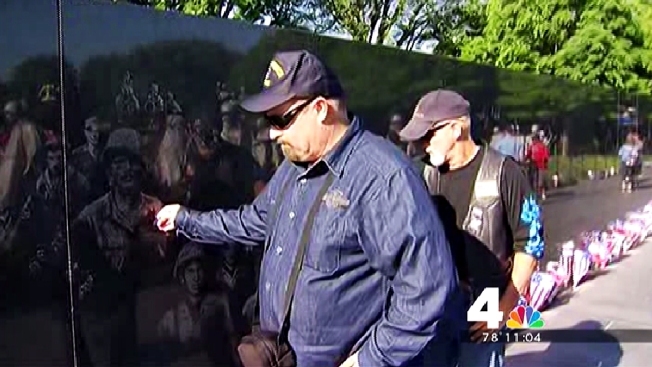 Events will be held across the nation's capital and the whole country to honor our war heroes. The National Memorial Day Parade along Constitution Avenue begins at 2 p.m., marching from 7th to 17th Street. Veterans from every conflict since World War II will take part, with 98-year-old Lt. Colonel Richard E. Cole serving as grand marshal. He is one of only four remaining service members of the 80 who took part in the Doolittle Raid on Tokyo during WWII. The parade will also feature TV host and Army veteran J.R. Martinez, Miss America 2014 Nina Davulari, Gary Sinese and more. For the past 70 years, Rockville has paid special tribute to the armed forces who died serving our country with a Memorial Day parade. This year's events begin at 9 a.m. with a patriotic concert and ceremony, with the large parade beginning at 10:30 a.m., with bands, floats, color guards and dance troops, as well as a 21-gun salute. Nowhere is the cost of freedom more evident than at Arlington National Cemetery. A prelude concert by Navy Band at 10:30 a.m. set the scene before a full honor wreath-laying ceremony at the Tomb of Unknown Soldier at 11 a.m. Those events were followed by an observance program at the nearby amphitheater. 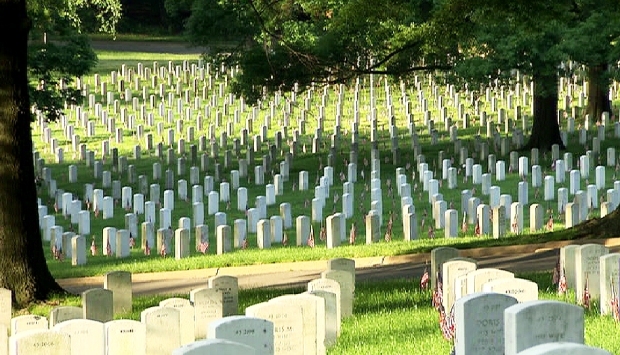 In 2010, a scandal marred Arlington National Cemetery after unidentified urns were found in a landfill, people were buried under the wrong gravestones, and an expensive record-keeping system that didn't work well. Now, the cemetery is using a digital map to help officials map graves, and they're set to release an app to make it easier for visitors to find the graves of loved ones. At 4 p.m., a ceremony at the cemetery's Women in the Military Service for America memorial will include full formal military honors, a wreath-laying ceremony, and the scattering of rose petals in memory of those women who have given their lives for their country. In Northern Virginia, Gov. Terry McAuliffe will march in the annual Falls Church Memorial Day Parade. The parade starts at 2 p.m., but there are activities planned all day, starting with a 3K fun run at 9 a.m. More than 10,000 people are expected to attend the Falls Church events, which also offer carnival rides, arts and craft booths, pony rides and live entertainment. For the past 70 years, Rockville has paid special tribute to the armed forces who died serving our country with a Memorial Day parade. This year's events began 9 a.m. with a patriotic concert and ceremony, with the large parade getting underway at 10:30 a.m., featuring bands, floats, color guards and dance troops, as well as a 21-gun salute. And if you're in D.C. Monday, you'll probably hear a lot of Memorial Day bell-ringing. The National Cathedral is ring its bells for four straight hours Monday, starting at noon. The bells are ringing a total of 15 hours throughout the long weekend, although this has caused some residents to complain about the noise.